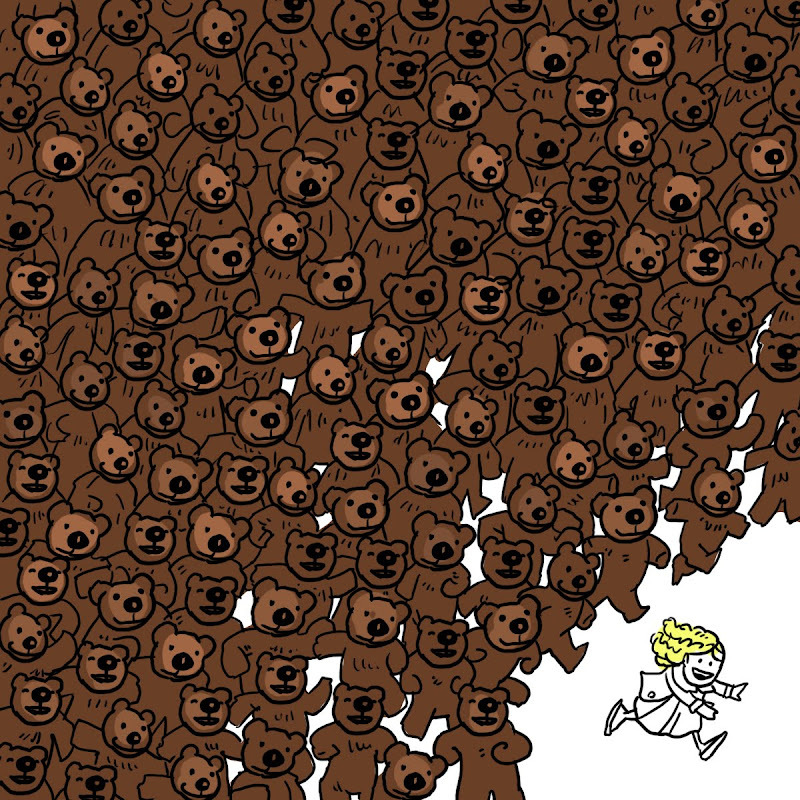 300 bears should slow down anyone's criminal tendencies. Go Bears! Now that's a book i would buy! There's a book out there called "365 Penguins" that my kids love. It delivers on the promise, there really are 365 penguins! But this takes the 300+ animal genre to a whole new level! Imagine 300 bowls of porridge, 300 too soft, too hard beds! It boggles the mind! Also it's a pop up-book. Just kidding, I have a hard time wrapping a present, I couldn't do pop-up papercraft to save my life. That looks brilliant! I would so buy this book.